Are you, like me, looking for recipes to use up the abundant chives in your garden? 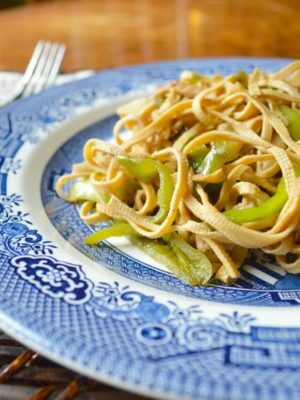 We already have recipes like our Chinese Chive & Egg Stir-Fry and Pork Chive Dumplings in our regular rotation, but today’s recipe is a bit off the beaten path. 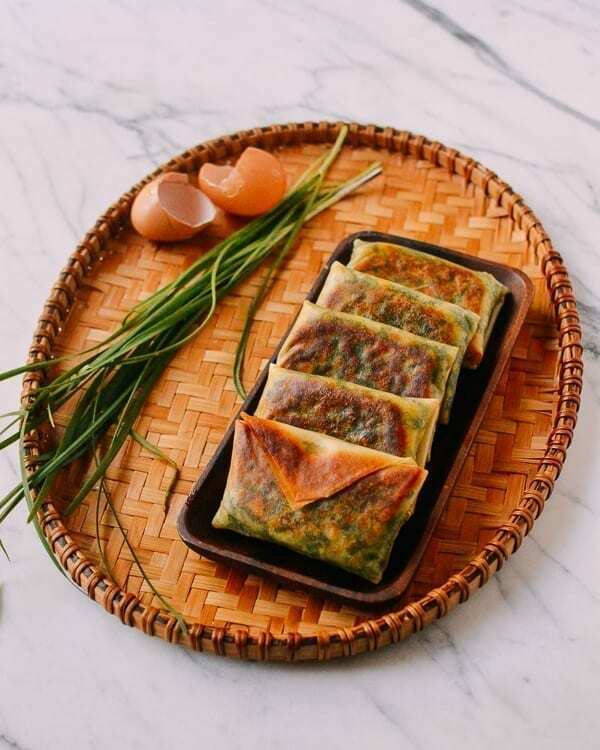 These Chinese Garlic Chive “Boxes” are hard to find in restaurants, so you may not be aware that they exist! 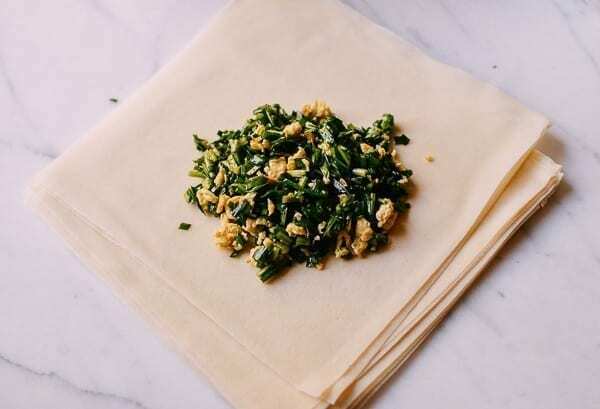 There are a few English translations for this popular treat from Northern China: Chive Pockets, Chive Cakes, and Chive Pie. 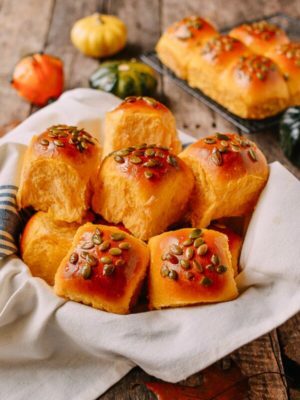 The Chinese name for these is 韭菜盒子 (jiucai hezi), which translates to “Chive Boxes.” So that’s what we’ll call them! 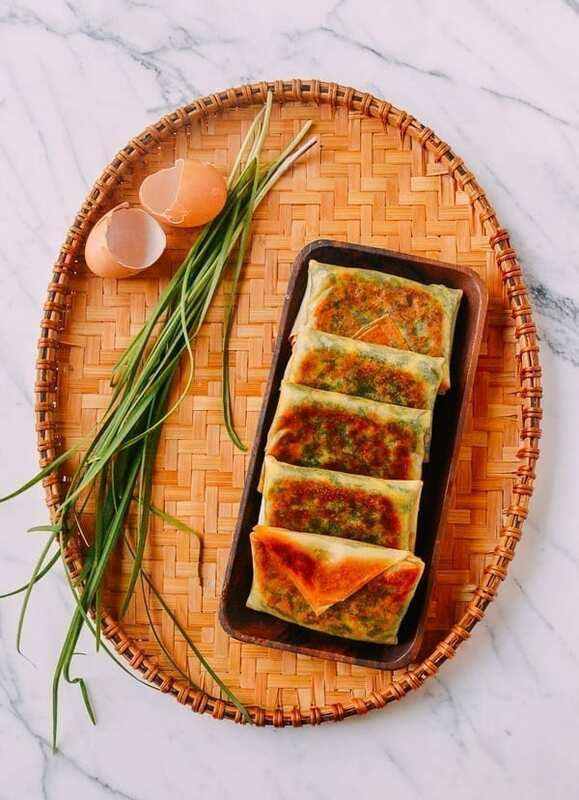 From my research on various Chinese recipe websites, I got the brilliant idea to use spring roll wrappers to make these little chive boxes (instead of traditional dough wrappers). The result? Less effort, speedy execution, and a crispy outside. 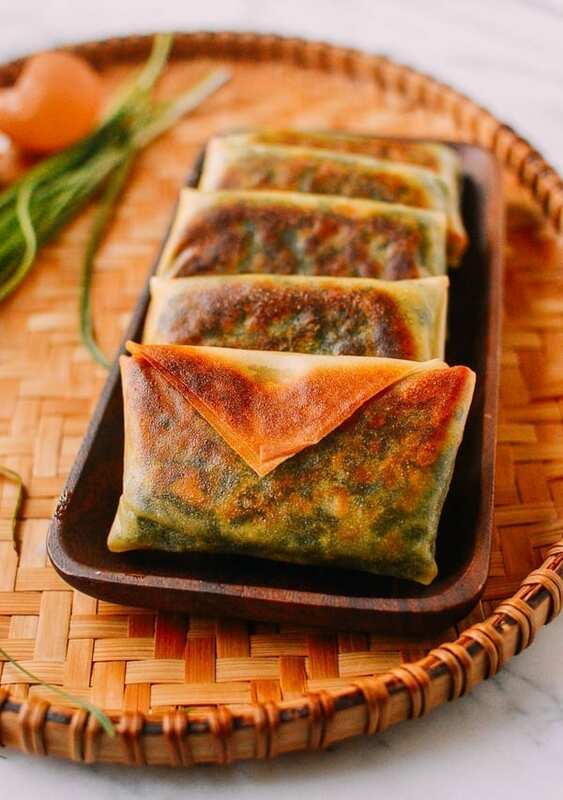 The best part is, even though they’re spring roll skins, you don’t have to deep-fry them! 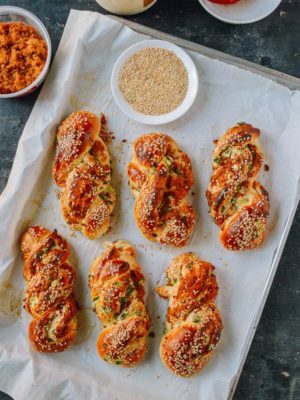 Also note, the chives used in this recipe aren’t the regular chives you might find in your local grocery store. 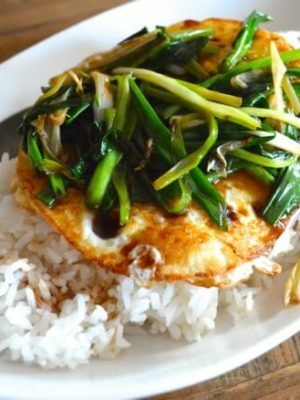 They’re actually Chinese garlic chives, which have thicker, meatier stalks and a garlicky flavor. 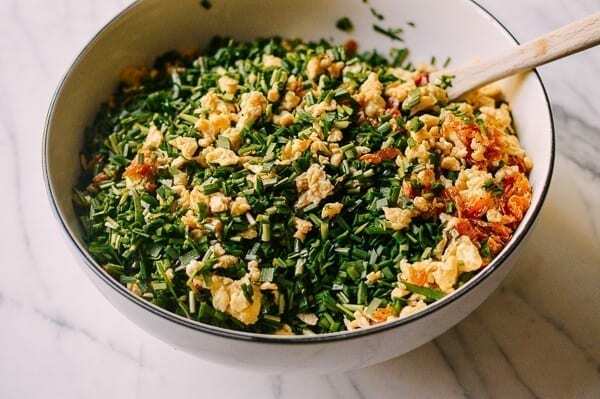 While many Northern Chinese families claim to have the best Chinese Garlic Chive Box recipe, they were new to both me (being from Shanghai) and Bill (whose family is Cantonese). 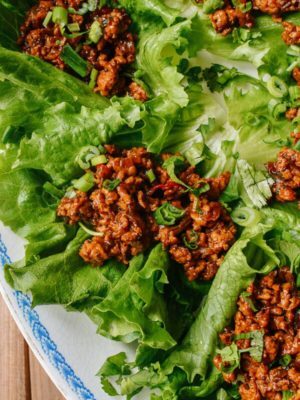 Some people add ground pork and/or minced shrimp to the filling. 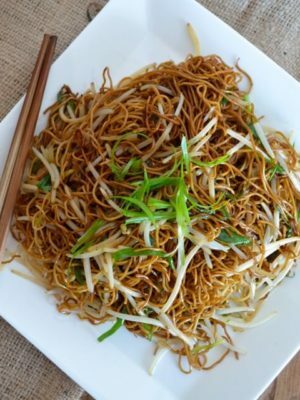 Others like to add finely chopped cooked glass noodles. 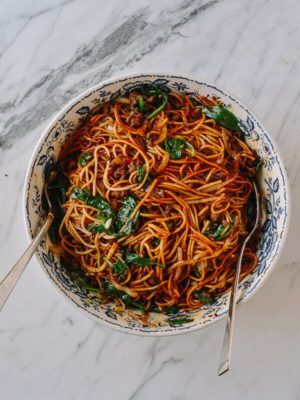 Many season their chive boxes with five spice powder or Sichuan peppercorn powder. 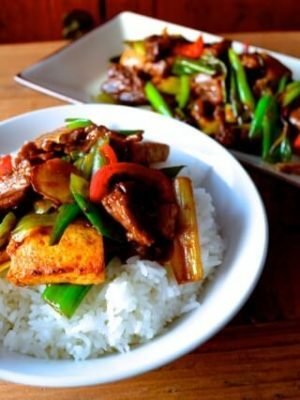 I have also seen recipes with oyster sauce in the filling. 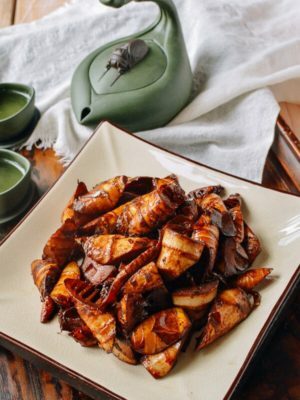 The use of dried mini shrimps––虾皮 (xia pi)––in this recipe will be new to many of you. 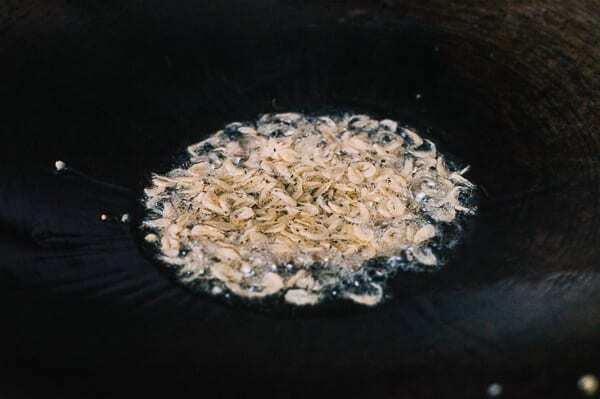 Like bonito flakes in Japanese cooking, they are used as a flavor agent. They may be tiny, but they are salted, dried, and packed with flavor. 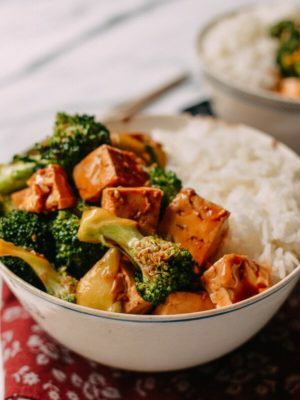 They go well with egg dishes like Steamed Egg, summer squash dishes like Zucchini Pancakes, and clear broth soups like my Easy Fish Tofu Soup. 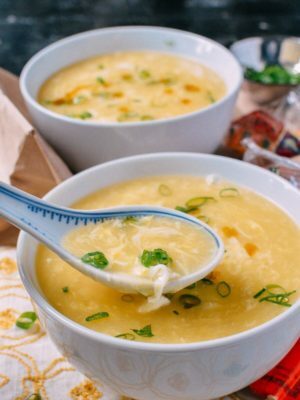 Beat 5 eggs in a large bowl with 1 tablespoon Shaoxing wine, ½ teaspoon salt and 1 teaspoon sesame oil. Set aside. Place your wok over high heat. 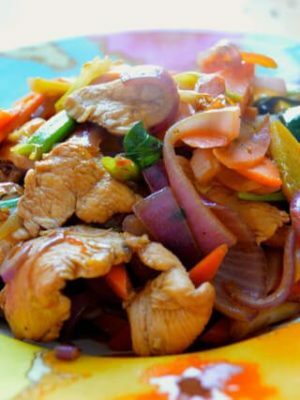 When it just begins to smoke, add 3 tablespoons vegetable oil to coat the surface of the wok. 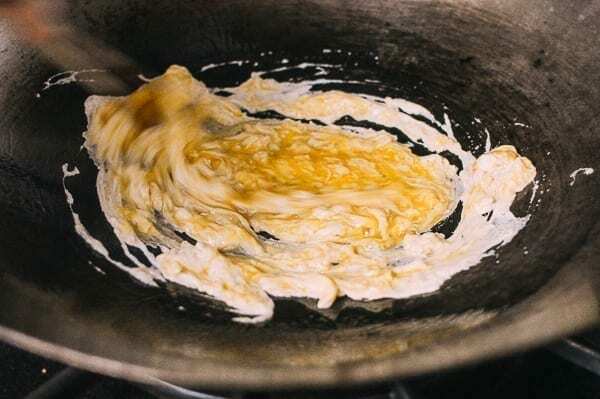 Add the eggs, and quickly scramble them in a circular motion for 15-20 seconds. Once the eggs begin to solidify, turn off the heat. 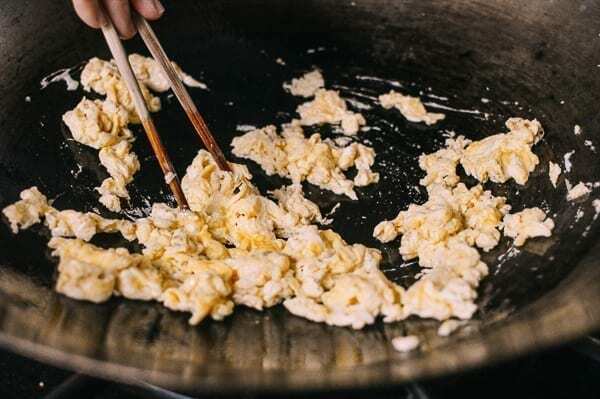 Use the residual heat in the wok to finish cooking the eggs, using your spatula to break any large chunks into smaller pieces. Remove the eggs from the wok and cool. 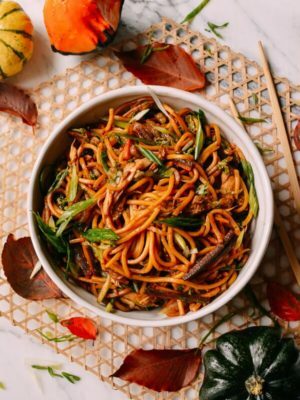 Heat another 2 tablespoons of vegetable oil in your wok over medium heat, and add the dried shrimp. Cook until they turn slightly golden brown. Turn off the heat, and allow to cool. Wash the Chinese garlic chives clean, and pat them dry with a clean kitchen towel. Finely chop the chives into ¼ inch pieces. 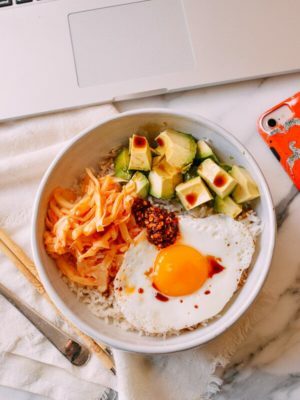 In a large bowl, add the chives, cooked dried shrimp, cooked eggs, another ½ teaspoon salt (less if you use more dried shrimp, as they’re very salty), 1/2 teaspoon sugar, ½ teaspoon white pepper, and 2 teaspoons sesame oil. Mix everything thoroughly together. Taste and re-season if necessary. 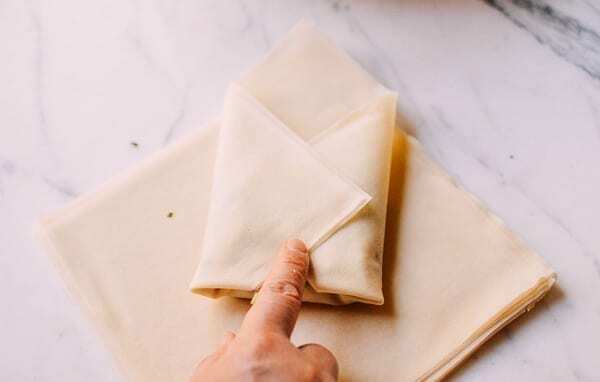 To fold the “boxes”, take 2 spring roll wrappers (in a double layer, one on top of the other). Place a heaping ¼ cup filling in the middle, and fold the box like a package. 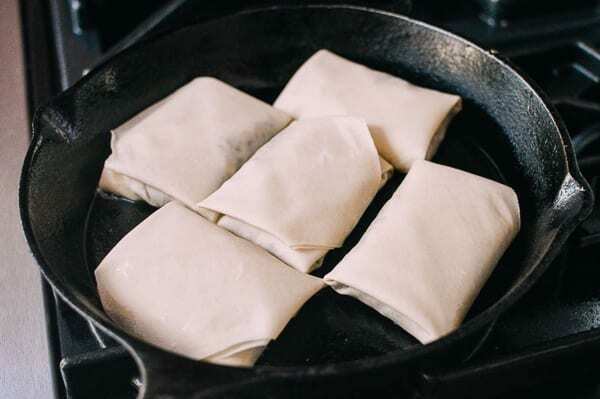 Close the boxes with a little dab of cornstarch slurry, and place on a plate or try with the seam side down. Repeat until all your chive boxes are assembled. To cook them, heat up a frying pan over medium heat, and brush the pan generously with oil. 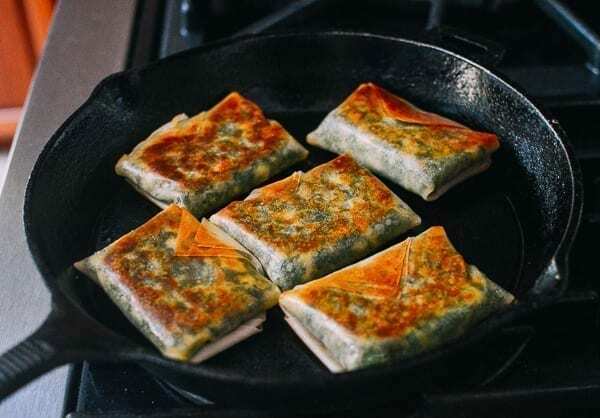 Cook the chive boxes for 2-3 minutes on each side, with the frying pan covered. Then remove the lid and crisp up each side for another minute until the outside is golden brown and crisp to the touch. Remember to cook the chive boxes in batches and increase the cooking time if you include ground meat or shrimp in your filling. Chinese garlic chives do not freeze well and spring roll wrappers don’t reheat well, so these chive boxes aren’t suitable for the freezer. 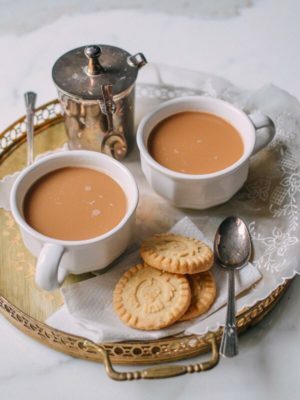 You can pre-make the filling, but all other steps should be done the day you plan to serve them. NOTE: Chinese garlic chives do not freeze well and spring roll wrappers don’t reheat well, so these chive boxes aren’t suitable for the freezer. 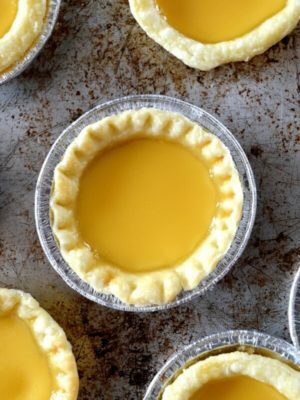 You can pre-make the filling, but all other steps should be done the day you plan to serve them. This recipe makes a dozen chive boxes. 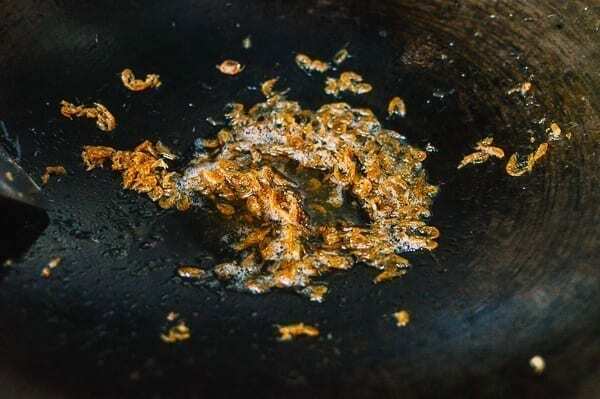 Heat another 2 tablespoons of vegetable oil in your wok over medium heat, and add the dried shrimp. Cook until they turn slightly golden brown. Turn off the heat, and allow to cool. Wash the garlic chives clean, and pat them dry with a clean kitchen towel. Finely chop the chives into ¼ inch pieces. 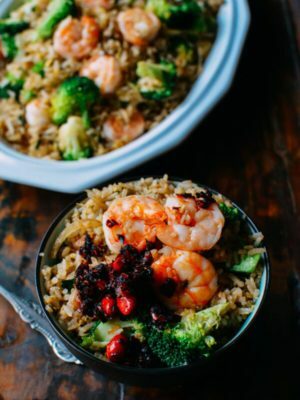 In a large bowl, add the chives, cooked dried shrimp, cooked eggs, another ½ teaspoon salt (less if you use more dried shrimp, as they’re very salty), ½ teaspoon sugar, ½ teaspoon white pepper, and 2 teaspoons sesame oil. Mix everything thoroughly together. Taste and re-season if necessary. 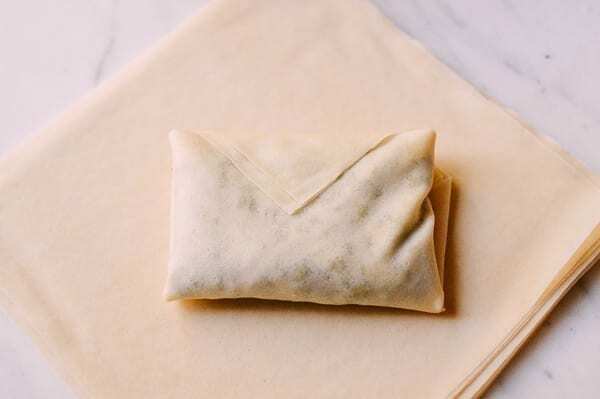 To fold the “boxes”, take 2 spring roll wrappers (in a double layer, one on top of the other). Place a heaping ¼ cup filling in the middle, and fold the box like a package. Close the boxes with a little dab of cornstarch slurry, and place on a plate or try with the seam side down. Repeat until all your chive boxes are assembled. To cook them, heat up a frying pan over medium heat, and brush the pan generously with oil. Cook the chive boxes for 2-3 minutes on each side, with the frying pan covered. Then remove the lid and crisp up each side for another minute until the outside is golden brown and crisp to the touch. Remember to cook the chive boxes in batches and increase the cooking time if you include ground meat or shrimp in your filling. 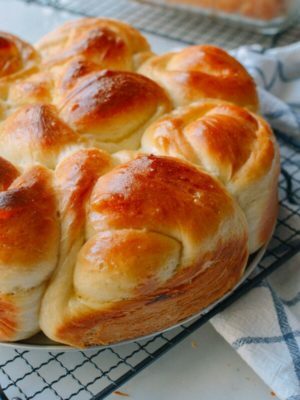 My mom makes this with the same dough we use for dumplings, and they freeze remarkably well that way. We usually fry them up as normal, and then freeze them once fully cooled. 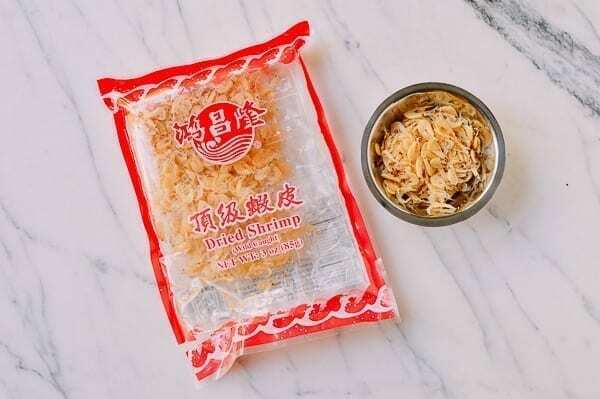 One of the things I request every time when I come home, now I’m tempted to give it another shot with some special dried shrimp I got from my hometown. 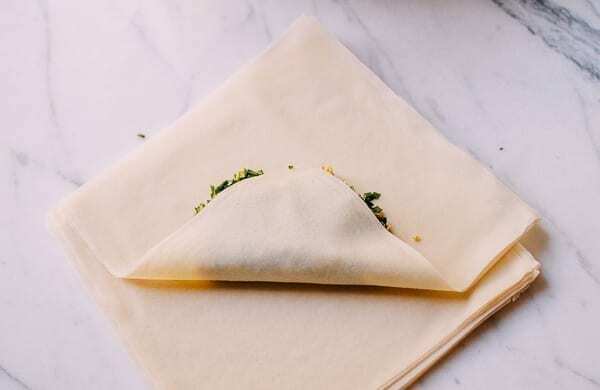 Hi Christina, I really like the use of spring roll skin here––it’s super crispy. So glad you like it, Ally! Hi, the recipe looks easy. I am so tempted to give it a go. Could you tell me the size of your spring roll wrappers please? Hi Lily, I don’t have one here to measure. 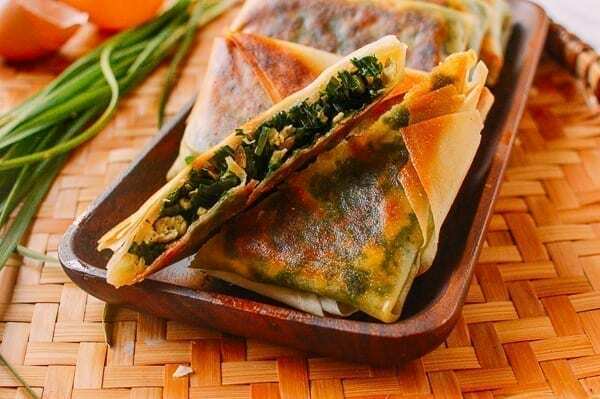 But I used the large Chinese spring roll skins. If I recall correctly, they are about 7” squares. Well, I grow Chinese garlic chives and tho’ these contain quite usual ingredients think the little envelopes huge fun to make and eat. A little too much frying perchance for nutritionist me, but lovely sometimes. Oh, warm greetings from wintry Australia! Hi Eha, there is no frying in this case. I always thought some soaking of dried shrimp (mini or otherwise) was required. Yours do look a little different, are these the paper shrimp variety? I may just soak to be safe. Hi Tom, dried shrimps need soaking, because they are dried and hard. But the shrimp flakes in this case are soft, and soaking will likely dissolve them. 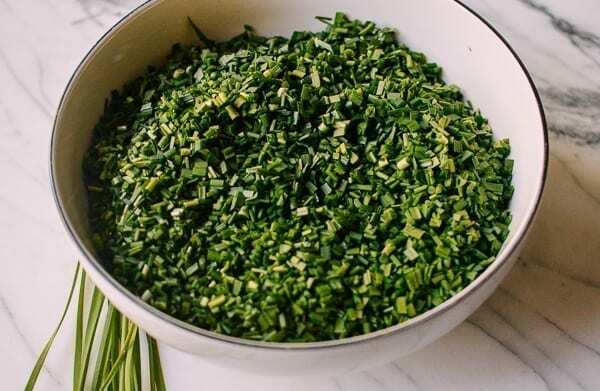 My family got our jiucai hezi from a Beijing style restaurant in our town – IIRC it was chives, beef, fensi filling and the dough was really hefty. 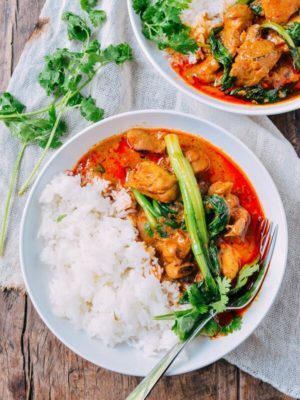 The kind of food you want to eat in the winter. What a great idea to use spring roll wrappers! 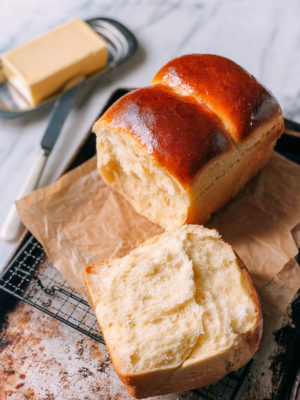 My BF’s mother taught me the recipe last summer, but the dough seems intimidating so I have not made it. Now I am tempted to make her recipe, but using the wrappers as a short cut. Omg yessss! I grew up with jiucai he (though I never heard jiucai hezi), and they were kind of roundish. 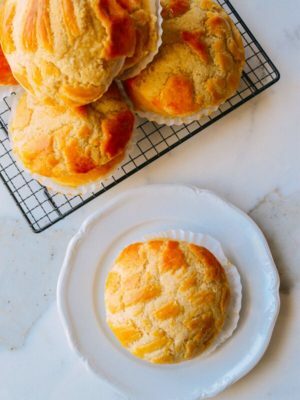 I’ve never attempted to make them bc they seemed so difficult… But I’ll have to! !